Greek gods, tagelmust attired Tuareg musicians from the Sahara, a bronze fox skulking across the grass, swirling multimedia figures, stunning stained glass creations and bronze and marble sculptures based on Buddhist prayer wheels are all waiting to welcome the visitor to this year’s Sculpture Festival. The Botanic Garden provides a unique setting with its own backdrop of sculptural elements including soaring bamboos, prehistoric tree ferns, giant leaves and exotic treasures in the glasshouses. 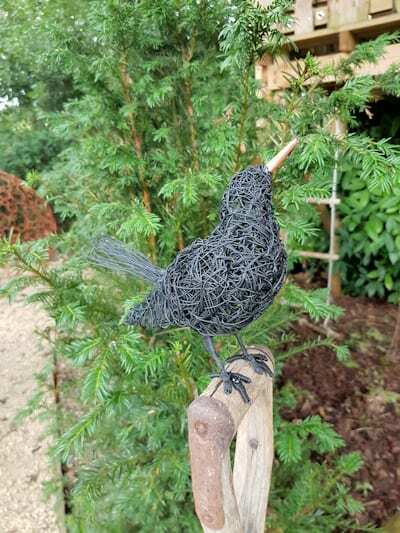 As well as the art attractions include attractions include demonstrations by chainsaw wood carver, Denius Parson; children’s trails, free tours of the garden and willow weaving workshops. Refreshments will be provided by the wonderful Chandos Deli in the Holmes.